The Cordvision Pro Lens Gear brings your still image lenses one step closer to actual cine lenses and thereby makes your life on set easier. 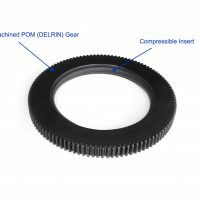 We wanted to offer a truly high quality lens gear and realized quickly that unless the gear is custom machined for each lens, there will always be drawbacks. 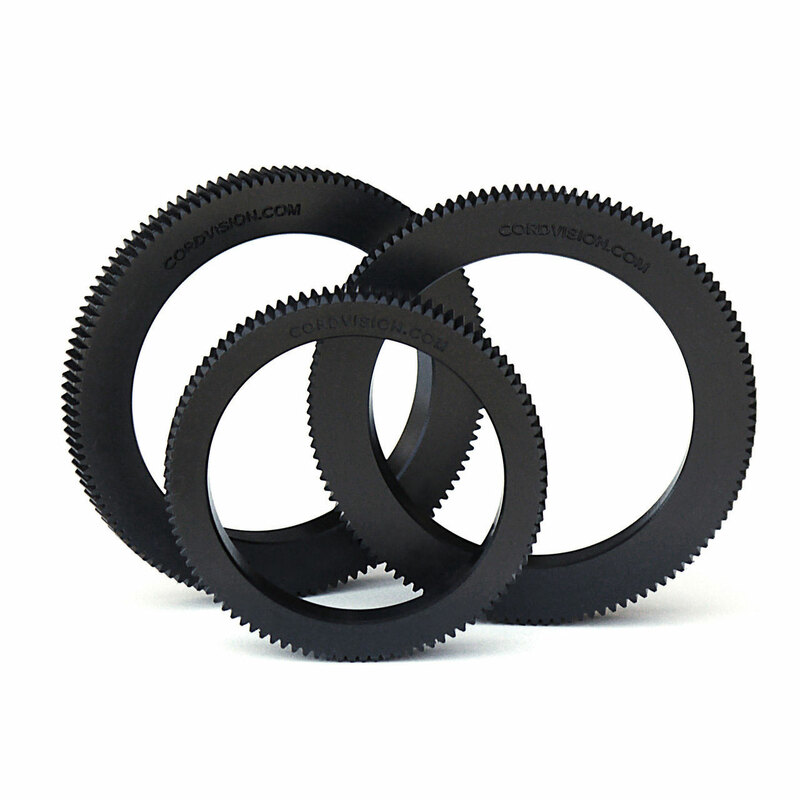 Therefore, all our Pro Lens Gears get custom machined to the exact diameter of your focus or zoom ring. If you want a really high quality lens gear, this is definitely the way to go. Most gears are machined within a week of the order date. After heating up the gear in the oven, it will expand a little bit so you can slide it over your focus/zoom ring. As it cools down, it will contract and thereby create a bond with the focus/zoom ring. This process is semi-permanent. You might have to cut the lens gear if you want to remove it. We will send you detailed instruction on the installation together with your gear. If your gear doesn’t fit, we’ll send you a replacement. -Will fit the lens perfectly like the lens gears on actual cine lenses. Professional and simple. -Shrink fitted to lens instead of sets screws that have the potential to cause damage to the lens. 108 teeth or 120 teeth depending on lens focus/zoom ring diameter. 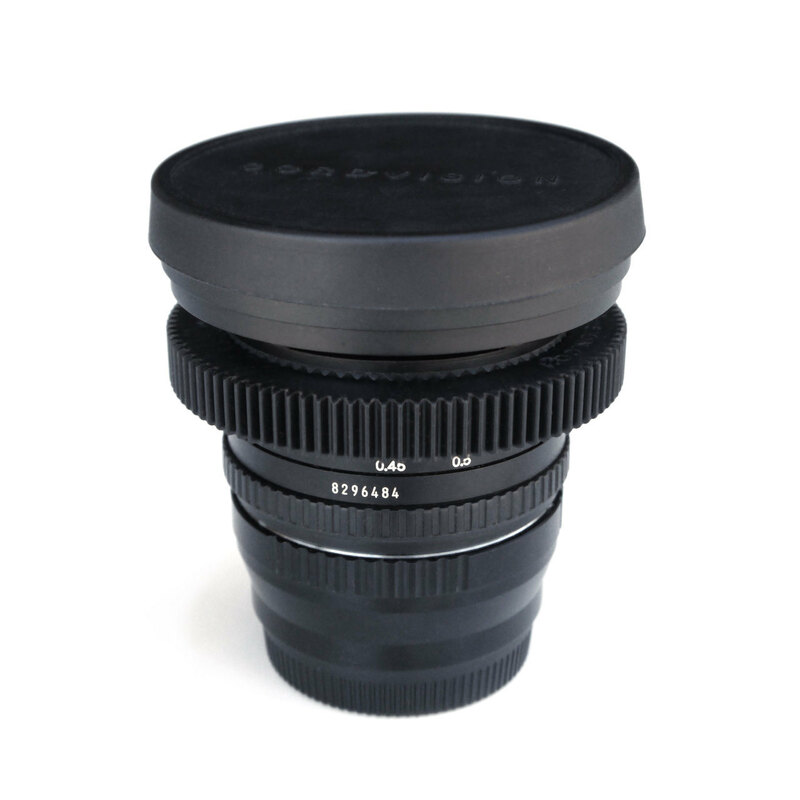 For lenses smaller than ca. 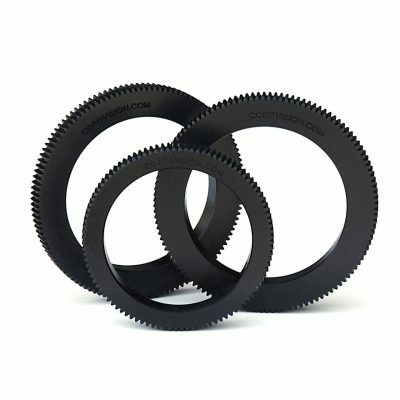 75mm in Diameter, the 108 teeth gear will be used, for lenses larger than 75mm, the 120 teeth gear. Maximal focus ring size I can make gears for is ca. 84mm. Tutorial on how to use calipers to measure the diameter of your focus ring.